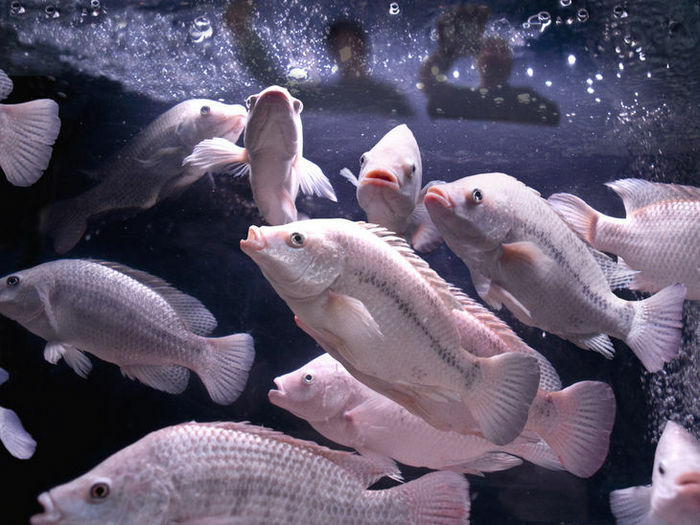 Largest indoor fishery - Blue Ridge Aquaculture, Inc. HEALTHY - We do not use growth hormones or antibiotics of any kind. All of our seafood is domestically produced, with highly traceable raw materials, and is free of mercury, pollutants and carcinogens. SUSTAINABLE - Since 1993, BRA has been a leader in aquaculture innovation. We have revolutionized the industry by developing indoor facilities, maximizing water utilization, and minimizing our environmental impact. DOMESTIC - Our products are raised in the United States using indoor recirculating techniques, ensuring consistent delivery of high quality seafood throughout the year. The product is shipped fresh, never frozen, maintaining the natural textures, appearance, and delicious flavors.